Central was the pioneer of Western-style fast food – now call “Quick Service Restaurants” or QSR, in Thailand . 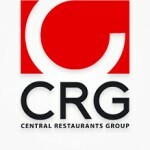 Central Restaurants Group (CRG) began with making and distributing donuts under Mister Donut brand in 1978. In 1980’s, it added franchises for KFC and Baskin-Robbins, the respective world leaders in quick service chicken and ice cream outlets. During the last decade, in 1998, CRG has brought in the pretzel specialist brand – Auntie Anne’s from the USA. Ten years later, in the late 2007, Pepper Lunch – the Japanese Steak fast casual restaurant chain from Japan was introduced to public by CRG as the fifth brand in its portfolio. In April 2009, CRG brought in the World Best Cream Puff – Beard Papa’s originated in Japan to strengthen its light foods category.